The universe isn’t just expanding, it’s accelerating. And no one knows why. Dark energy was proposed to fill in this knowledge gap: a sort of “repulsive gravity” that pushes matter and space-time away instead of dragging it closer. Rather than gathering around regions of dense matter (such as stars or galaxies), dark energy prefers to hang out in the most isolated neighborhoods of the universe in the vast regions of empty space. But what sort of matter or energy field would act in this reclusive way? Clearly, if a particle was responsible for this, it would be unlike anything even cutting-edge particle physicists had ever seen before. It was these strange properties that gave physicists the idea of the chameleon field. 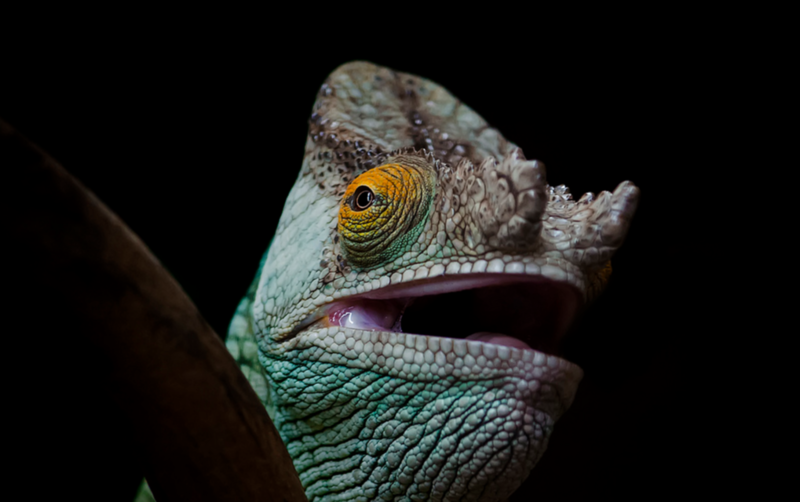 “The chameleon theory introduces a new fifth force into our understanding of physics,” Clare Burrage, a physicist from the University of Nottingham, explained to IFLScience. This force’s strength varies depending on how much matter is in the vicinity. The force gets weaker as the amount of matter gets denser, so it wouldn’t be easily detectable on Earth. However, in the empty voids of space, the force extends to a massive and powerful range, pushing the matter in the universe apart the opposite effect of gravity. If correct, then the chameleon field would permeate the universe and be associated with dark energy particles, which the team termed chameleon particles, much like the electromagnetic field is linked to light particles (photons). Chameleon particles are unusual in that they don’t have a fixed mass, unlike electrons or protons that have well-defined masses. The force of the chameleon field is inversely proportional to the mass of the particle. In the vicinity of matter, the chameleon force is weak and the particles are heavy. Conversely, in a vacuum, the force is strong but the particle is light. Well, this is where the name of the chameleon field starts to make sense. Like a chameleon changes its color to blend in with its environment, the chameleon field’s properties vary depending on the density of a nearby object. This is why it’s so difficult to detect on Earth: The force gets so small when it’s around matter that it’s effects are barely detectable. The further away from matter the chameleon field is, the stronger the force gets and in the deep, empty recesses of space, it will expand for many light-years, pushing matter apart. It was given this unusual property of varying repulsion in order to abide by all the longstanding theories of physics. “Unlike gravity, the force effectively switches off when the object gets sufficiently large and sufficiently dense,” Burrage explained to IFLScience. When it comes to a candidate for dark energy, “The chameleon particle is a particle that has all the required properties: It can explain the cosmological observations, and unlike many other theories it doesn’t contradict existing theories,” Mller summarized to IFLScience. The results of the experiment have been published in Science, and a pre-print is also available on arXiv. Left is a diagram of the inteferometer experiment (credit: Simca Bouma); the atoms (violet dots) probe the vacuum in search of dark energy. To the right is a photograph of the actual equipment (credit: Holger Miller). These experiments will help validate a chameleon force. An experiment devised to catch an elusive chameleon involves spotting an inconsistency from the predictions of gravity. Sadly, we can’t just trap one with a net. Instead, the experiment takes place in the vacuum chamber of an atom interferometer, replicating the conditions of the vacuum of space. An aluminum sphere, with a diameter of 2.5 centimeters (1 inch), sits impressively in the chamber. The scientists then created a cloud of cesium atoms on top of the aluminum sphere and just let them fall. If there is no chameleon field, then the only force felt by the atoms is Earth’s gravity. However, if there is a chameleon, then they would experience Earth’s gravity plus the chameleon force. “The sphere acts as an extra source of the chameleon force, such that atoms should fall a little faster in its presence (if the chameleon exists),” co-author Justin Khoury, from the University of Pennsylvania and one of the original founders of the chameleon theory, said to IFLScience. Unfortunately, this experiment didn’t rustle up any unusual results. Everything was in accordance with the force of gravity and no other forces were detected. Chameleons are difficult to detect “because they were designed to hide from our experiments!” exclaimed Burrage. However, this isn’t the end of the hunt for the evasive chameleon. “Now, obviously, Earth’s gravity is a million times stronger than the force we’re looking for,” explained Mller. So, the chameleon force would be much easier to spot if gravity just wasn’t there. Ignoring gravity is hard on the surface of Earth, but there is somewhere the experiment can be performed where gravity’s effects are negated. 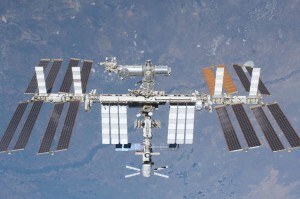 And it whips around the Earth every 92 minutes: the International Space Station (ISS). 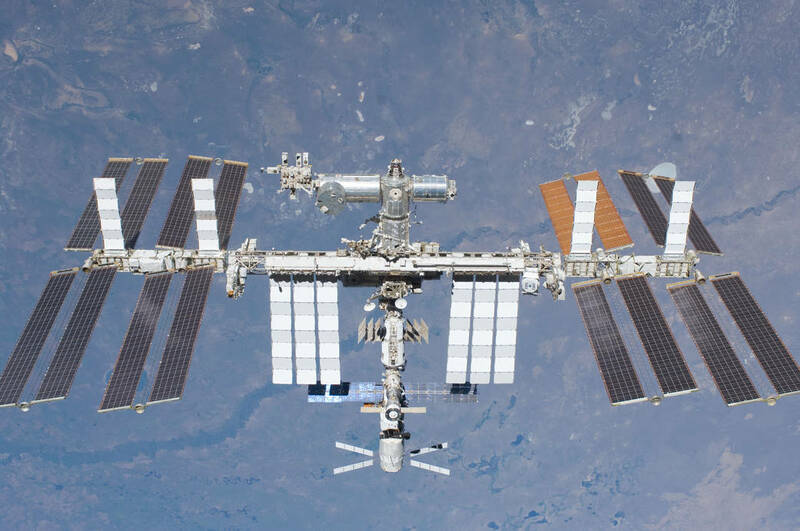 IFLScience spoke with Mark Lee, a senior scientist from NASA, who is working on the prospect of sending and getting astronauts to perform this experiment on the ISS. He cautiously announced that “it’s going to go up within a year and a half,” however this schedule may be revised. The equipment that would be sent up, the atom interferometer, is a versatile tool and can be used for many experiments, so it’s impossible to say when it would be used to detect chameleons. Mller said this floating environment would be “ten thousand times better” for the test. Unlike on Earth where the cesium atoms fall very quickly, in space this time is increased. “In space you can observe [the atom] for maybe up to ten seconds,” said Lee.